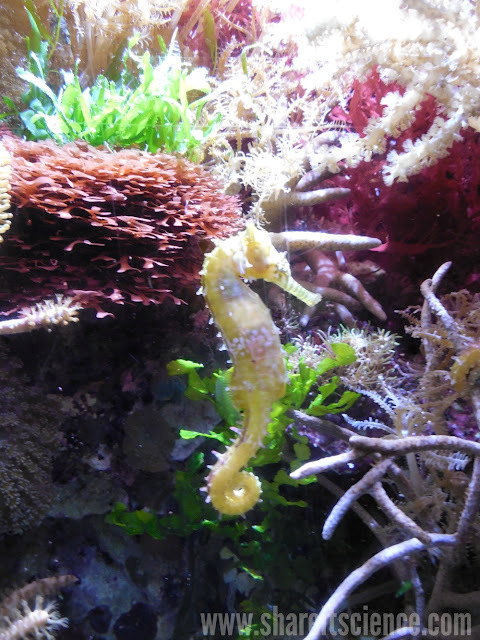 One of our favorite family activities is visiting aquariums, zoos and museums. As a teacher, I'm also always looking for great educational resources from these institutions. 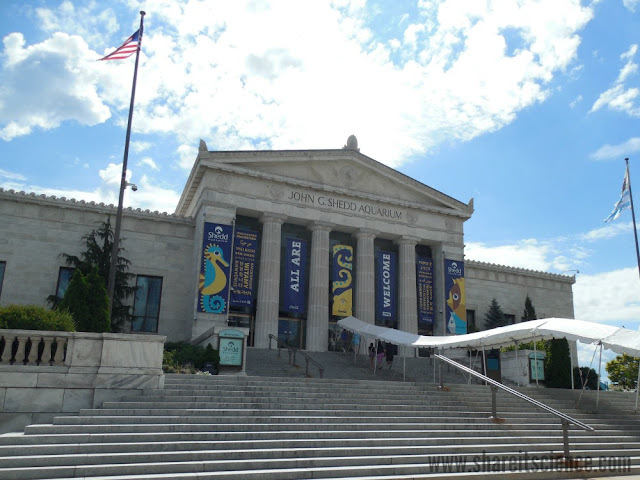 A recent visit to the Shedd Aquarium in Chicago, provided an excellent in-person experience and plenty of online resources and virtual experiences to share with you. 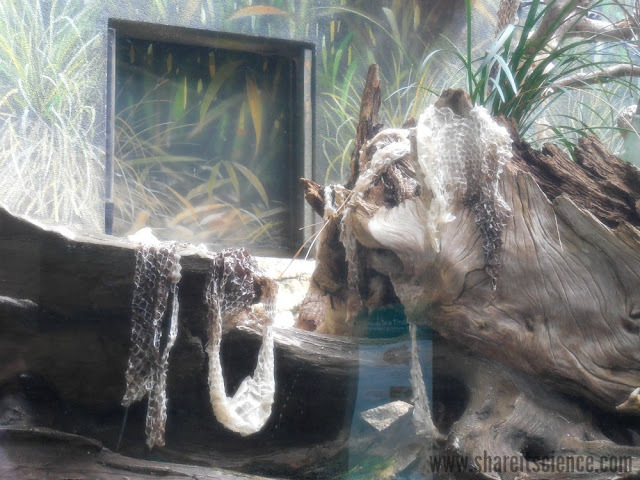 Although difficult to narrow it down to just a few, I've created this list of 10 reasons why you absolutely must either visit the Shedd Aquarium in person or online.These will be especially interesting for those of you who teach about aquatic life, or simply love to learn about and experience it. This is a great example of the "little things in life" being some of the most interesting and impressive. Despite all of the other fantastic creatures and exhibits we observed at the Shedd Aquarium, one of my favorites of everything we saw were the bamboo shark eggs on display in the Wild Reef exhibit. Bamboo sharks are small sharks that are found in shallow, tropical reefs. 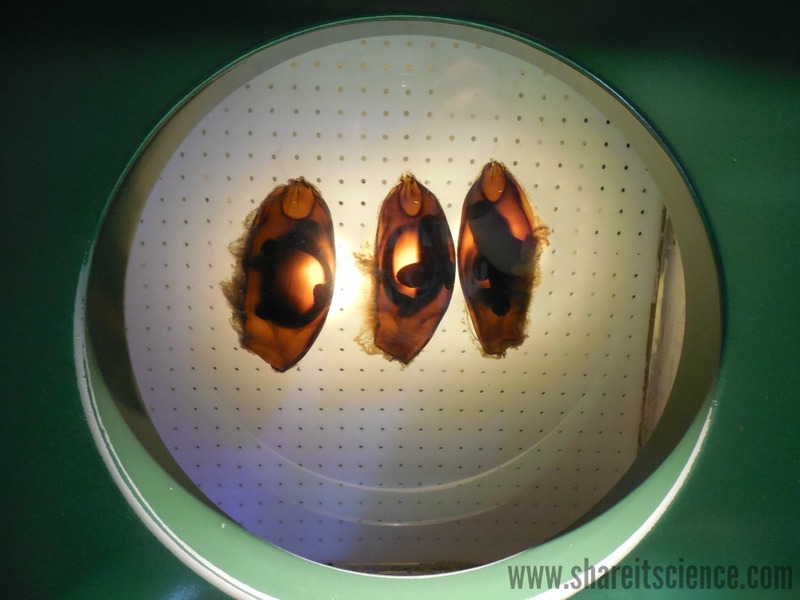 We were able to view the sharks in their tank right next to the examples of their eggs. You could actually see the baby sharks moving around in their eggs! We learned that it takes around 4 months for the bamboo sharks to hatch, but the exact timing is due to temperature. The babies are able to survive on their own once they have hatched. Check out this short video clip from our visit. Keep an eye on the middle one, as that is the easiest to see move. They are even cooler in real life! Wild Reef models the coral reefs of the Philippines. It is one of the main exhibits in the aquarium. 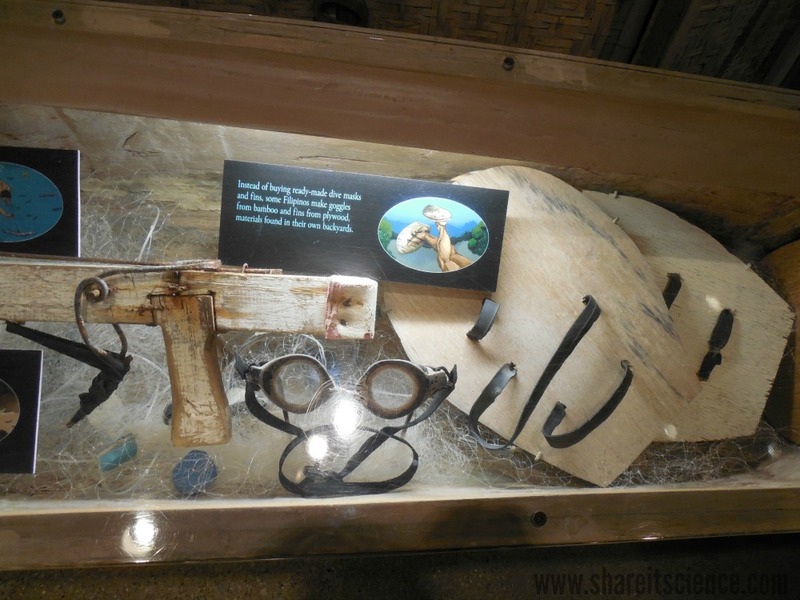 We really appreciated the fact that the exhibit not only housed the wildlife of the reef, but also described the culture as well. 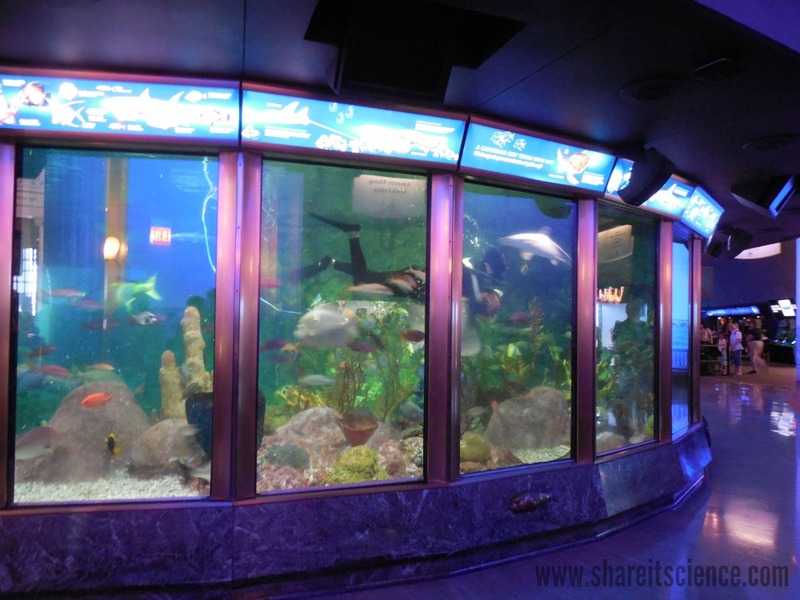 I think it is rare that an aquarium describes in such detail how the aquatic environment impacts the culture and economy of an area, and vice-versa. It was also fascinating to see how the aquarium was cultivating coral for the exhibit, which exclusively features coral grown right at the Shedd Aquarium. The reefs of the Phillipines are some of the most diverse coral reefs in the world. 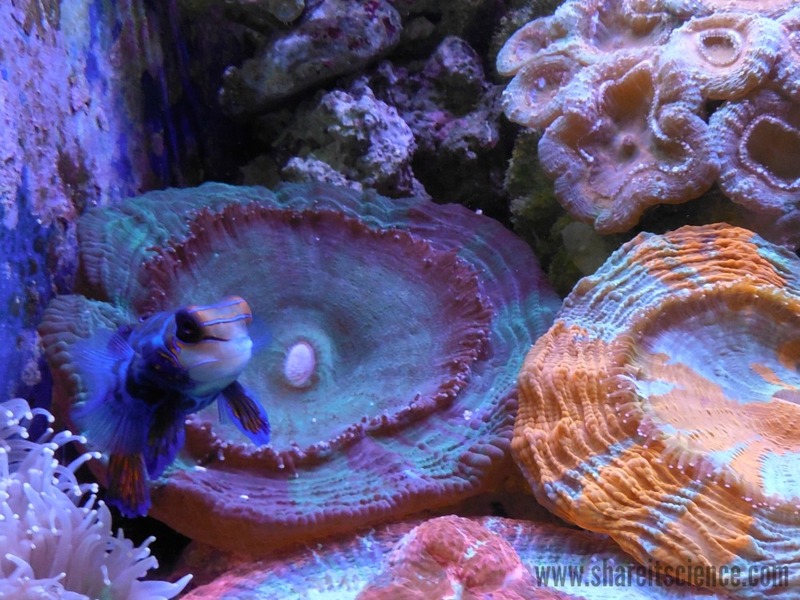 We saw some of our favorite colorful creatures here. We found Dory! Can you find her too? 2. See dolphins up close! 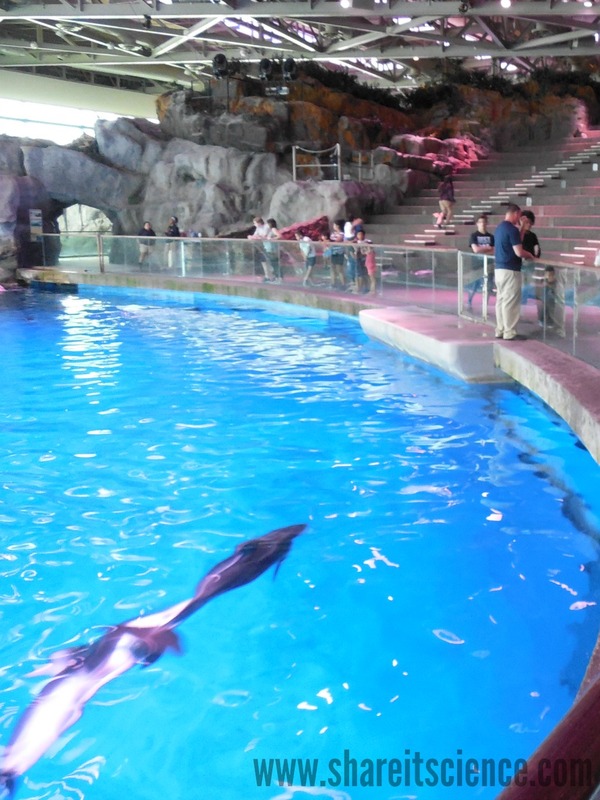 We attended a live animal show that included observing the aquarium's Pacific white-sided dolphins. The dolphin tank and the aquatic shows are part of the Abbott Oceanarium, a fabulous space modeled after the Pacific Northwest coast. After the show, the area cleared out and we had a few minutes where we could watch the dolphins swim, jump and dive without a huge crowd around. 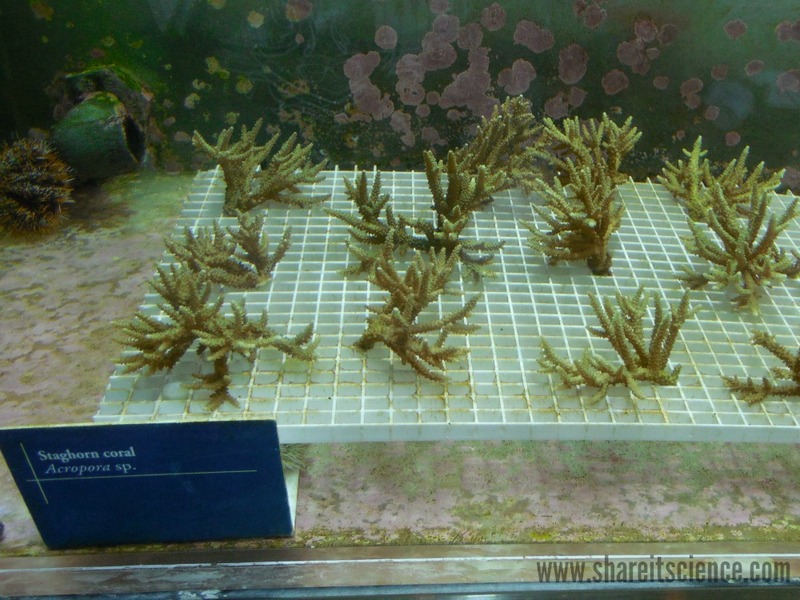 It was much more exciting than simply watching them behind glass. 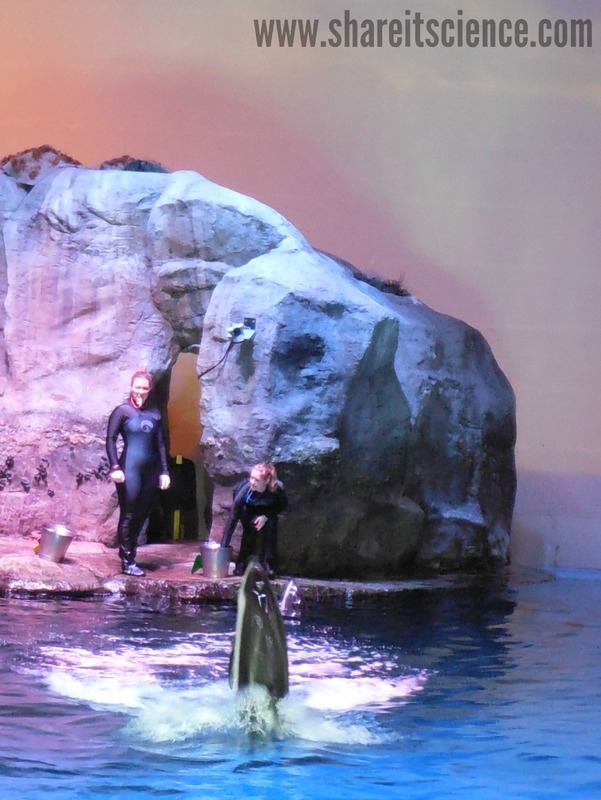 It was also interesting during the show to see firsthand how the dolphins are trained. The Shedd is absolutely a world class aquarium. The exhibit spaces were detailed, with excellent signage and understandable, accessible interpretation. In addition to the Wild Reef and Abbott Oceanarium I mentioned above, there are several other large exhibits that make up the aquarium. Amazon Rising takes you along the Amazon river during the rainy season when the forests are flooded. 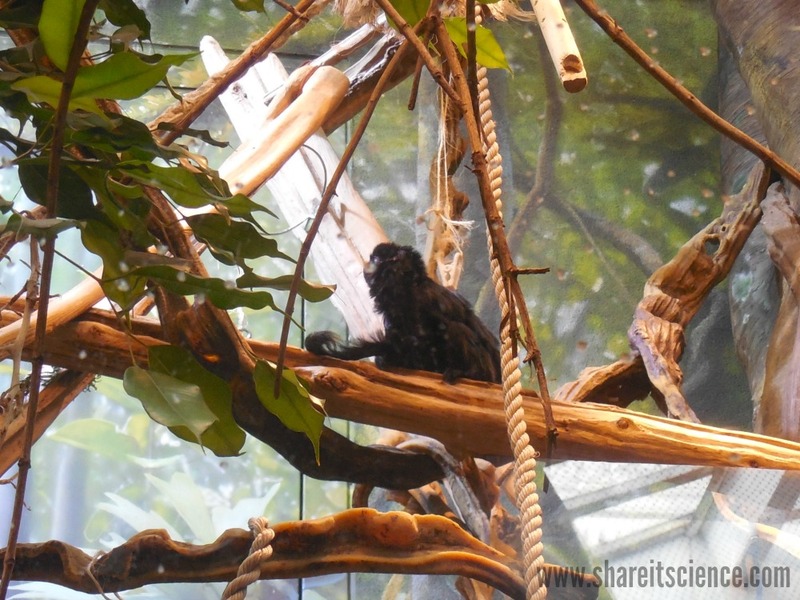 In addition to fish like piranhas, we spotted tiny Goeldi's monkeys, an anaconda (or the skin it last shed anyway, most of the large snake was hidden underwater) tarantulas and stingrays. 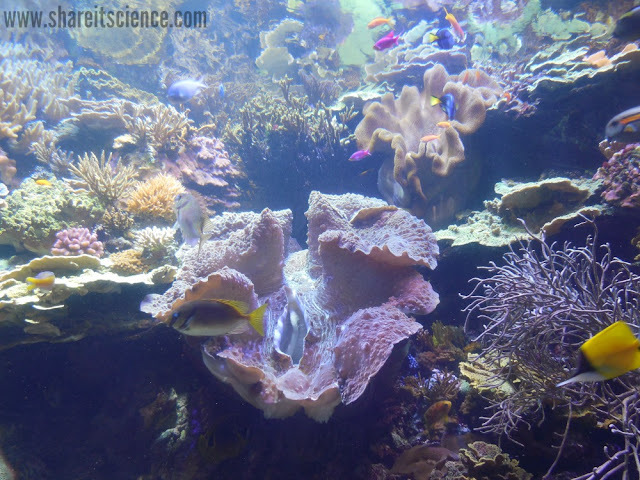 In addition to galleries on the life of the ocean, in lakes, in rivers and the local fauna of the Great Lakes, the Caribbean Reef is a must-see. 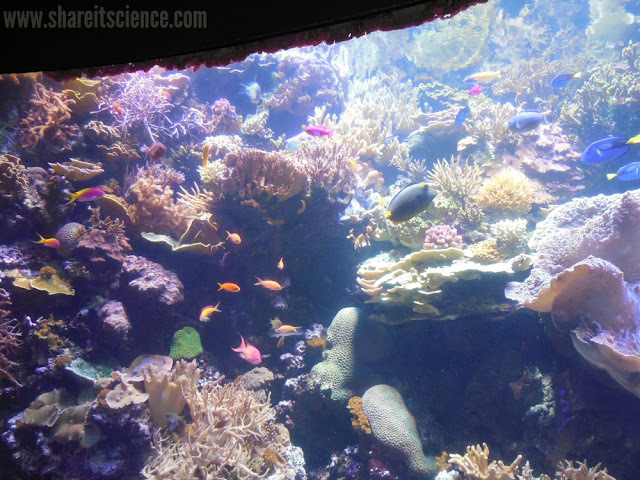 It is also hard to miss it as this 90,000 gallon tank is the centerpiece of the main exhibit space of the aquarium. I was so impressed with everyone we met at the aquarium. All had a smile on their face, a friendly greeting and were very knowledgeable. It was really a nice change of pace to visit a place where it truly seemed like everyone was happy and interested to be there! The Shedd is a leader in conservation and aquatic research. From field work on the Great Lakes and in the Caribbean, and on-site research and breeding programs, the Shedd Aquarium works alongside and to inform the greater scientific community. 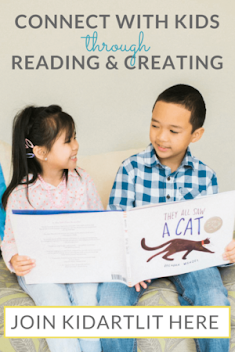 Check out this link for a great launching point into the great work they do. Maybe you can't actually visit the Shedd Aquarium, but you'd like your classroom or homeschool students to experience the aquarium. You're in luck because they offer virtual field trips for reasonable rates. Learn more here. The entire Shedd Aquarium is accessible so no one has to miss out. We found this very helpful as we visited with a young child in a stroller, which many others were doing as well. Although I was thrilled about the ability to travel anywhere with the stroller, I'd advise you give yourself a little extra time to get from place to place if you need to use the elevators. When the aquarium is busy there is often a short wait for them. The Shedd also offers a Sensory Friendly App, with visitors with autism or sensory processing disorder in mind. Learn more about this app and accessibility at the Shedd Aquarium here. Need I say more? Who doesn't like watching penguins?! It was our daughter's favorite spot. 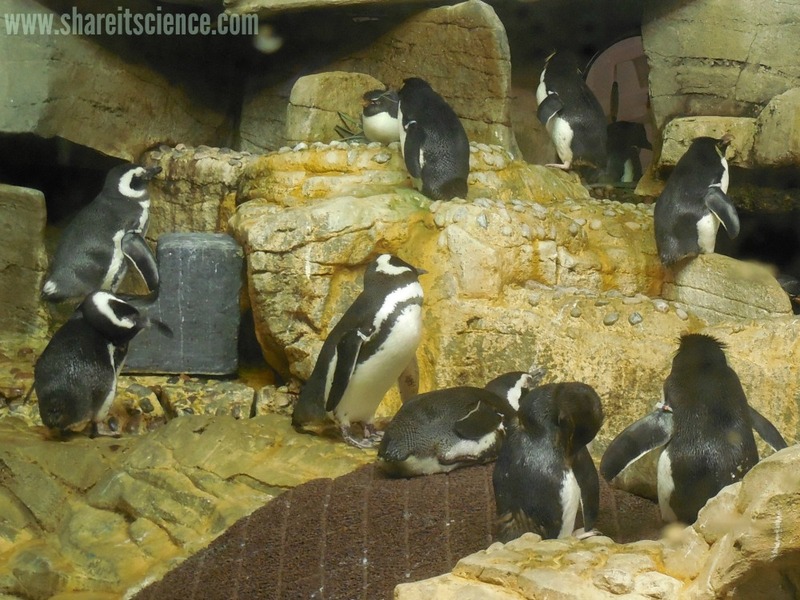 We didn't experience the special Penguin Encounter program, but that looks fun too! The facade of the beautiful Shedd Aquarium building has been named a National Historic Landmark by the National Parks Service. 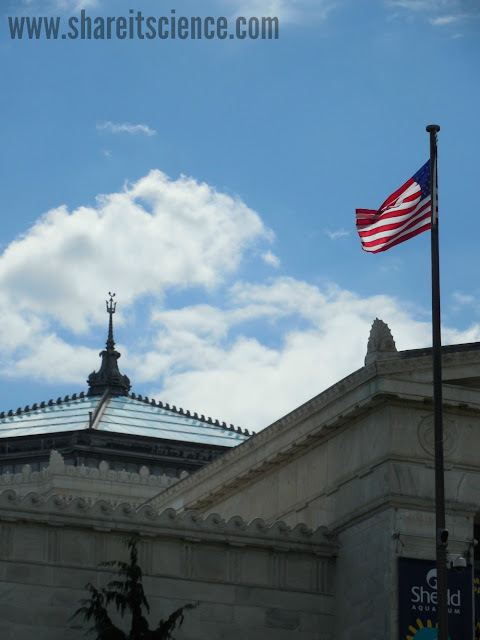 The building is just one part of Chicago's Museum campus, which is 57 acres along Lake Michigan and includes the Adler Planetarium, the Field Museum of Natural History, and Soldier Field. We enjoyed walking through the lovely park campus during our visit. In addition to their regular education programs, school visits and the like, Shedd also offers cool opportunities like the NextGen Animal Responders program, a curriculum guide that brings animal rescue efforts to life, and the Underwater Robotics Club, several different STEM programs and resources for teachers that allow kids to delve into the engineering and design of underwater ROVs (remotely operated vehicles). 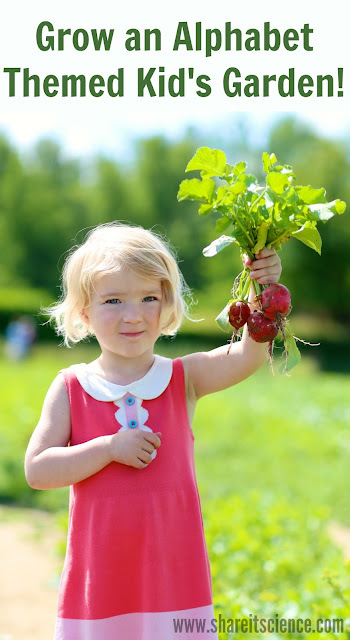 If you're a regular reader of this blog, then you know how much we like citizen science! 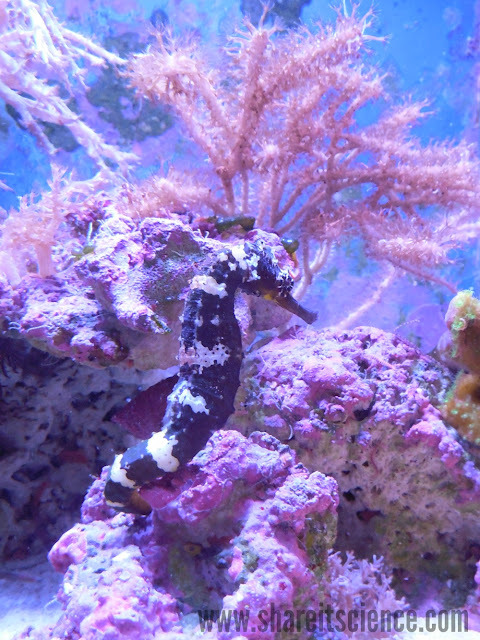 The Shedd Aquarium supports several citizen science projects, including working to save seahorses through iSeahorse, a project that anyone can participate in. We really enjoyed our visit to the Shedd Aquarium and hope we get back to visit again one day! I hope that you get a chance to visit in person or online soon! We have been to several aquariums! This one sounds like it would top the ones we have been to.